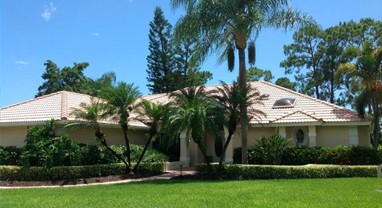 Imperial real estate, a prestigious private, gated golf and country club community conveniently located a few miles west of Interstate 75 off of US 41, just north of Immokalee Road in beautiful North Naples. Established in 1972, this 501-C private club encompasses over 300 acres of wooded land, rolling hills and nearly 40 acres of spring-fed lakes enhancing the local beauty to create one of Naples Florida’s finest golf clubs. Situated just 25 minutes from Southwest Florida International Airport and 15 minutes from Naples Municipal Airport, Imperial Golf Estates is just a short drive to the breathtaking beaches and waters of the Gulf of Mexico, Naples Bay, five-star luxury hotels, superior hospitals, medical facilities, schools, upscale shopping and gourmet dining at The Village on Venetian Bay, The Waterside Shops, Mercato, The Coastland Mall, the boutique shops and fine gourmet restaurants of Fifth Avenue South and Third Street South, The Naples Philharmonic at Artis-Naples and The Baker Museum, The Barbara B. Mann Center, The Naples Zoo and The Naples Botanical Gardens. Imperial Golf Estates offers single family homes, attached and detached villas, and condos with an array of floor plans and options that give buyers the freedom of choice. Spanning across well-manicured rolling fairways and tropical terrain, Imperial Golf Estates real estate for sale consists of several prestigious residential subdivisions…Abbey on the Lake, Bermuda Greens, Castlewood, Charleston Square, Imperial Gardens, Imperial Golf Estates, Imperial Park Place Villas, Island, Manors Of Regal Lake, Park Place West, Wedgefield Villas, Westgate at Imperial Golf Estates and Weybridge. Imperial real estate has something for every personal flavor and luxury budget. Imperial Golf Estates condos for sale and Imperial Golf Estates villas for sale are priced from the mid $200,000’s to $500,000. 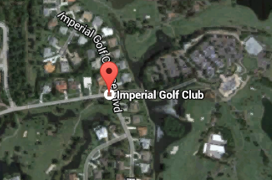 Imperial Golf Estates homes for sale are priced to over $1,000,000. The well-planned spacing and location of residences provides homeowners with impressive unobstructed views of the golf courses, tropical fauna and flora, sparkling fresh-water lakes and water features. The Imperial Golf Estates community strives to protect the environment with providing a quality wildlife habitat and for conserving the natural resources of this attractive area. 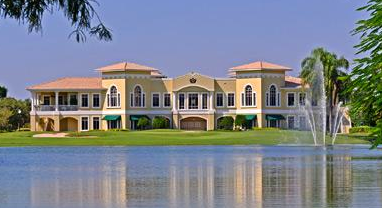 Within this amazing Imperial Golf Estates community, championship golf is everywhere. Members at the Imperial Golf Club have the choice of playing two world-renowned 18-hole par 72 championship golf courses…The East Course and The West Course; each one pristine and well-maintained. The East Course, designed by noted golf architect Arthur Hills, opened in 1973. It is a traditional northern style layout with gradual doglegs and generous fairways. Five tee locations provide play from 5,300 yards to 7,000 yards. The West Course, designed by Ward Northrup is a different golfing experience. Opened in 1977, the course is traditional Florida style featuring sharp doglegs with an abundance of water hazards. Four tee locations stretch the course yardage from 5,140 yards to 6,560 yards. Both courses exude universal appeal with agreeable layouts and multiple tee placements, permitting each individual to play to his and her skill-level. The East Course and The West Course are exceptional, integrating the natural environment throughout the entire layout of the golf course…rolling lush fairways, flowering marshes, crystal-blue fresh water lakes, manicured greens, towering oak trees, pines and palm trees, sandy white bunkers, flowering natural vegetation and well-maintained tropical landscaping is intermingled amongst the lovely custom residences. Experienced onsite PGA golf professionals and a teaching staff assist with improving the game of golf, and the pro shop is fully equipped with all of the latest sportswear trends and state-of-the-art golf equipment. Imperial Golf Estates golf carts feature the new Visage GPS system, and there is a putting green, a chipping & putting green and a dedicated bunker area simulating a green-side bunker. The full length driving range includes a side bunker to practice long range bunker shots. 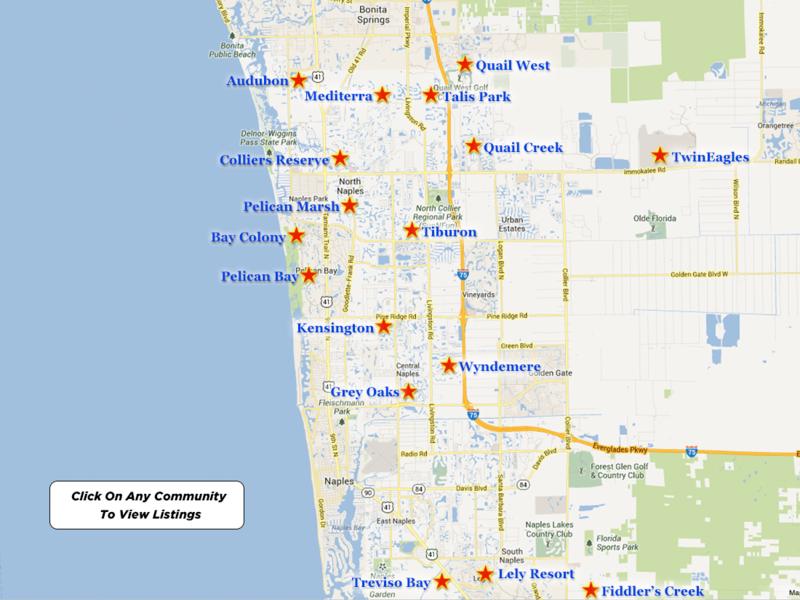 As an added feature, there are reciprocal golf programs with many clubs in the area and even out of state. Members of the Imperial Golf Estates community are privy not only to spectacular championship golf, but to a variety of benefits, facilities and amenities that include a beautiful 32,000 square foot two-story Clubhouse with breathtaking views of the surrounding golf courses and tropical landscaping, providing the members with casual to fine gourmet dining. Furthermore, there is a heated resort swimming pool, a luxurious spa, a contemporary Tennis Center with a certified USTA professional staff and access to four-lighted Har-Tru tennis courts, a modern Fitness Center with professional trainers and an array of exercise activities including aerobics, Zumba, spinning, yoga, free weights and dance. Imperial homes for sale is also biking and jogging friendly, providing several long distance paths throughout this well-designed residential community. Imperial Golf Estates is proud of its diverse membership and strives to provide various options to suit every individual’s needs, thereby offering a variety of memberships. There is truly something for everyone…from gourmet and casual dining, tennis, award winning championship golf, an array of social activities and unique private events. Imperial Golf Estates offers The Full Golf Membership, The Associate Golf Membership and The Social Membership. Additionally, please note that membership prices and fees are subject to change. For discrete and professional service, please call me to schedule a private viewing of any one of these Imperial properties for sale. If you would like for me to do all of the research for you, please call me with your search criteria and I will email you all of the listings that you should be considering, and that specifically match your lifestyle requirements. 239-963-6590.